In this first installment of the Alex Vega Series, Alex and his family are cast into an adventure of epic proportions when their home is destroyed in the middle of the night and theyÂ escape to an underground society of guardians who have mastered the mysterious energy of theÂ "Zero Point Field"Â - an energy that can destroy mountains, create pyramids, or protect the Earth from a foretold alien attack that could come at any time. While his parents embark on a dangerous mission to find a new enemy, Alex attends the Earth Defense Operations School and isÂ trainedÂ on how to use this new-found power with a funny looking device called a Z-con. Alex teams up with Dion, Elka and Maia to train in competitions and learn all about The Praefectus organization. Here Alex also meets the 4,000 year-old head of The Parefectus, Zeusra, or Z for short who takes a special interest in Alex. 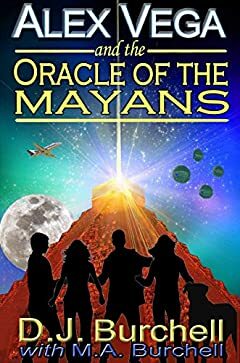 When Alex finds out that his parents have vanished, against all the rules, he and his friends plan a daring rescue that starts with the Oracle of the Mayans and ends on the ice sheets of Antarctica.Â But can he save them in time and survive the onslaught of this ruthless new enemy? Book One in the Alex Vega Series is available now - get it today and you'll find out it's one of the best breakout novels for teens as well as adults. Book Two is scheduled to arrive on Amazon in April 2019. Email us at AlexVegaSeries@gmail.com and get our Free Newsletter for contests, freebies and more news of Alex! Winner of the prestigious Mom's Choice Gold Medal,The CCQB Gold Medal, and a finalist in the Wishing Shelf Awards.